This article originally appeared on Fathom, the website that unlocks the world for passionate and curious travelers. For insider advice on the world’s best places, sign up for Fathom's newsletter. Guadalajara is undergoing a renaissance, fueled by chefs with hometown credentials and outsiders coming into the city with an openness to experimentation. Jessica Ritz checks out the scene — and can't wait to go back for more. GUADALAJARA, Mexico — How come more people don't here? That's what I kept asking myself during a family trip weekend with my husband and kids in Guadalajara, Mexico's second largest city. 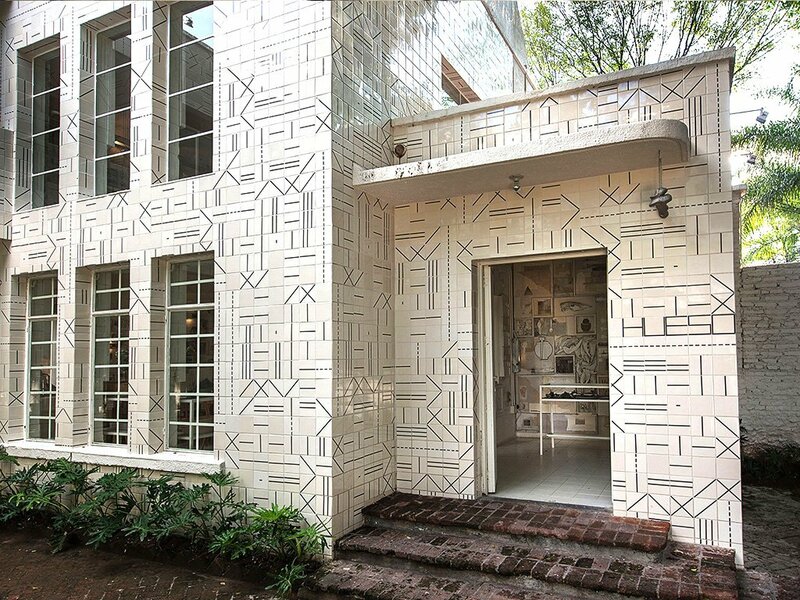 We strolled streets lined with eclectic Art Deco-style homes in various states of repair in the quickly evolving Colonia Lafayette and Americana districts west of the historic center, including early stunners by Mexican modernist architect Luis Barragán. We wandered around the massive zocalo and series of plazas that connect the baroque style cathedral to the famed UNESCO World Heritage Site Hospicio Cabañas, with its existentially haunting murals by José Clemente Orozco. I peeled off from the group to take an inexpensive Uber ride to the nearby artsy town of Tlaquepaque for a private tour of the internationally renowned Cerámica Suro facility. For travelers looking for an urban destination in Mexico that's less intimidating in size and scope than Mexico City, Guadalajara has it all, even though we didn't encounter any other American English speakers (for many travelers, that's a definite plus). Guadalajara's cutting edge creative profile is on the rise as well, with art fair marquee names Jose Dávila and L.A.-born and raised Eduardo Sarabia generating work in GDL studios and helping push a vibrant gallery community forward. But the real highlight of the weekend came at mealtime. Guadalajara is undergoing a renaissance, fueled by chefs with hometown tapatio credentials — the slang term used to refer to Guadalajara natives — and outsiders coming into the city with an openness to experimentation. Locals are sure to have strong opinions about their favorite spots for signature dishes, such as torta ahogada, the soaked pork sandwich, and birreria, goat stew. Now global food trends are dovetailing with Guadalajara's robust, complex food and beverage heritage — it's the heart of tequila country — and open kitchens help engage diners with the behind-the scenes action. Just say, "yes, chef." Good advice. Photo courtesy of Brasserie Mango. Australian Paul Bentley, who helms restaurants in Tulum and, as of this past summer, the deluxe Bovine steakhouse in San Miguel de Allende, brings an exacting technique for house-made charcuterie and pastas at the impressively designed Brasserie Magno. 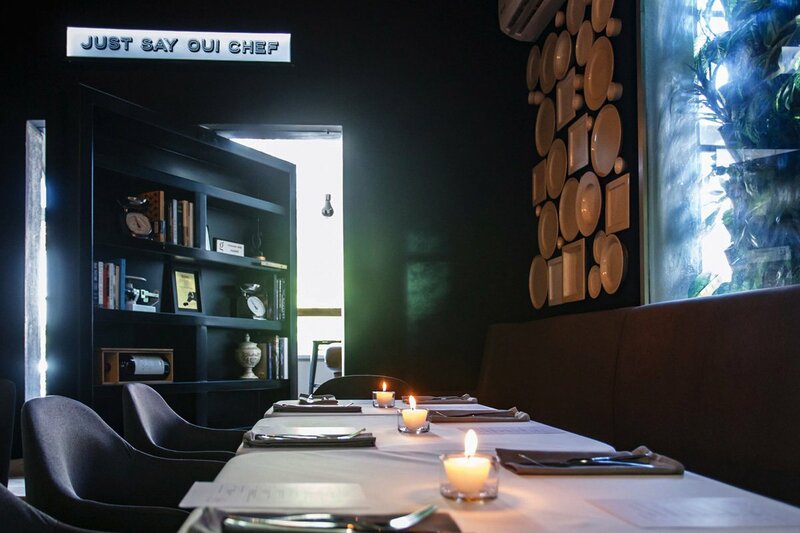 You probably didn't come to Mexico to eat sweet corn agnolotti or sweetbread and mushroom-filled ravioli in a glamorous and modern space, but you'll forgive yourself after a couple of bites. The fresh grapefruit and tequila cocktail might help, too. Respect for tradition and full-blown culinary creativity together spark at Noma kitchen alum Francisco Ruano's Alcalde, located in the city's business district. A bed of pepian-based green mole surrounded by delicate seasonal green leaves unites hunks impeccably cooked chicken, with a compact loaf of chia seed-crusted homemade bread to ensure the taste of spicy spring on a plate doesn't go to waste. Alcalde's rice pudding is an exercise in combining contrasting textures, from chocolate rendered in whisper-thin sheets, to rich and soft soy and dairy components — with the essential touchstones of the comforting dish that translates across cultures. 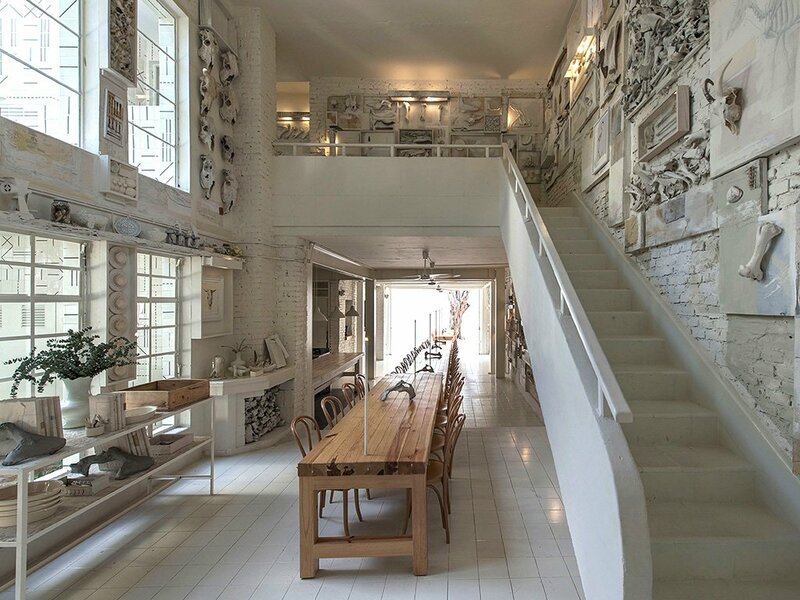 Hueso, inside and out. Photos courtesy of Hueso. Hueso makes a dramatic interior design statement, with white-washed walls lined with bones and long tables, while chef Alfonso Cadena's family-style platters of internationally-influenced dishes encourage a communal vibe. Diners dig into dishes such as roast chicken with mixed vegetables, towering salads, and deconstructed fish and chips with thin camote (sweet potato) crisps instead of traditional fries. Or just head to the intimate bar instead, located in an attached space in the Deco building that's clad with tiles produced by Cerámica Suro, Rene Redzepi's resource of choice when it came time to order custom ceramics for Noma Mexico, as well as Sarabia's maker of his compelling and topical ceramic art. Allium applies the team's international experience and a farm-to-table sensibility that will feel familiar to Californians, with hearty dishes including a grilled pork chop and roasted peach salad with arugula, as well as Mexican stalwarts that showcase superb local ingredients. Aguachile with compressed jicama, cilantro pesto, and shrimp, for instance, packs a sprightly punch, courtesy of heat-loaded nasturtium flowers and arugula. Plus, like so many Guadalajara restaurants, Allium's semi-enclosed patio dining makes the most of the temperate climate. At all these venues, mixology is alive and well, showcasing mezcal and tequila combined in balance with other treasured Mexican products. Wines from Valle de Guadalupe appear on most lists, too. The restaurant at Casa Fayette. Photo courtesy of Casa Fayette. 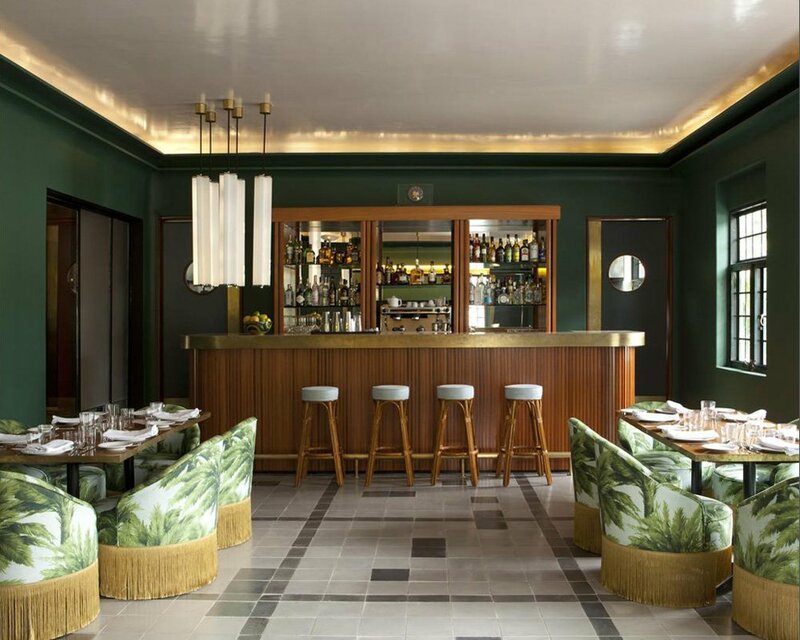 The beautiful crowd is alive and fed quite well at Casa Fayette Hotel, where its excellent in-house restaurant boasts an on-trend tropical-meets-Roaring '20s vibe. Californian and former Daniel NYC chef Trevor La Presle, now executive chef of the Grupo Habita hotels, serves grilled octopus dish with romesco and edible flowers that seems to take inspiration both from Mexican gastronomy and the dining room's interior design. My kids, meanwhile, were thrilled to have a break from the sophisticated and feast on burgers and guacamole. Este Norte Café, attached to the hotel, offers excellent coffee drinks along with fresh juices and aguamiel de guay goods, about which owner Amanda Arizpe Ochoa is eager to discuss the health benefits. Most items in the eco-chic cafe and shop come from the organic Villa de Patos ranch. Often when traveling, I wind up picking an eating and drinking establishment that quickly becomes into my home-away-from-home, outside of my hotel room or apartment rental. In Guadalajara, that place became Mercado Mexico, a multi-vendor marketplace near the happening Avenue Chapultepec. Think of it as a Broadway equivalent of sorts that's host to a street fair with music and revelry on a Saturday night. On Sundays from 8 a.m. until 2 p.m., the street is closed to traffic and becomes the lively Vía RecreActiva. Sit at one of the cozier bars in Mercado Mexico, or find a table on the large patio where you can order from a clipboard of menus from the various kitchens that comprise this seating area's collective restaurant. There's a pop-up market on Sundays, with goods ranging from alternative baked goods (gluten-free brownies, matcha cakes) to natural remedies. 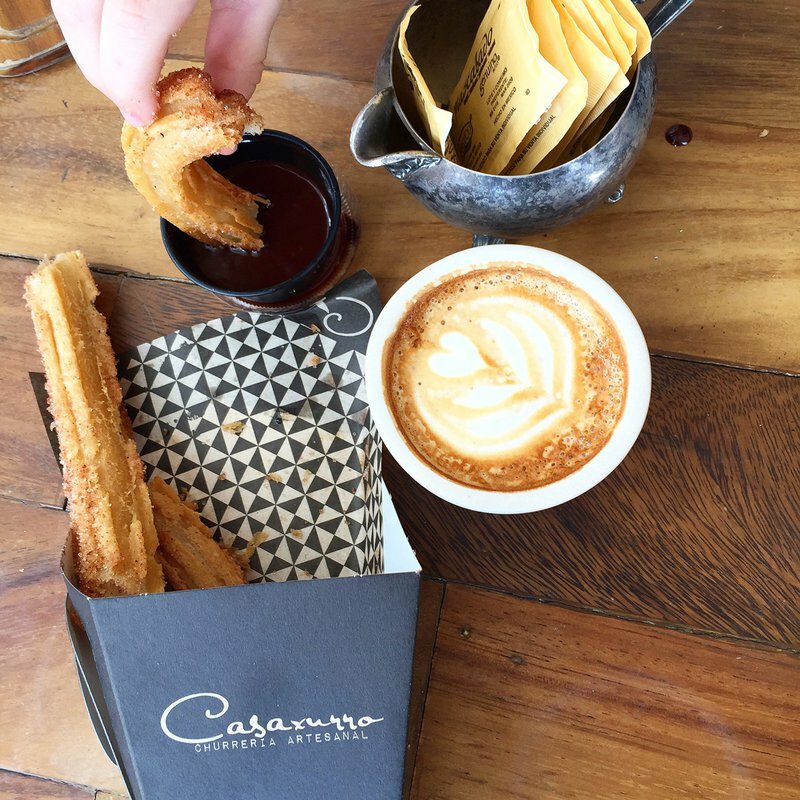 I couldn't get enough of the ethereal and decadent churros at Casaxurro, located upstairs, surrounded by an aesthetic that feels Mexico City-via-Brooklyn. The attached Brutalist tower houses creative work spaces, and retail occupants in the complex include a bike shop and artisan home goods boutique. Irresistible churros at Casaxurro. Photo by Jessica Ritz. An easy caffeine break at Palreal. Photo by Jessica Ritz. The waits at Lafayette hotspot Café Palreal can be a drag if you're itching for the first meal of the day and, most importantly, coffee. This obstacle doesn't seem to deter many from eating what I was told is Guadalajara's best breakfast surrounded by hip cement tile work and lush greenery. We spent a morning at the cozy coffee bar area that contains all of three bar stools, spreading sweet farm cheese on biscuits, slurping down perfect cappuccinos and chatting with the gregarious baristas. 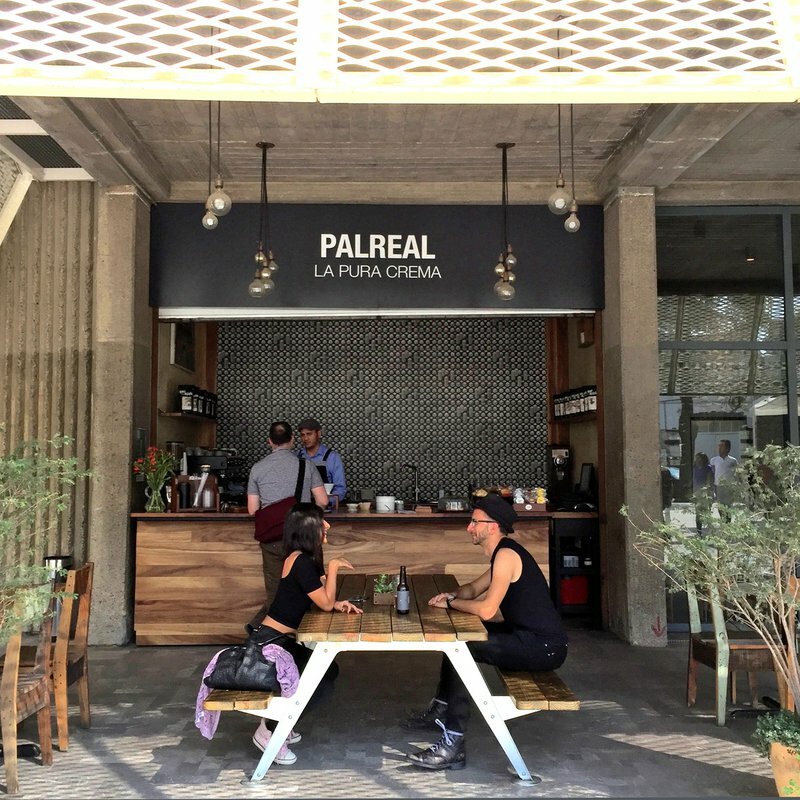 The streamlined Palreal counter at Mercado Mexico, however, is a welcome alternative to the breakfast crowds, and will likely become your afternoon pick-me-up destination. Guadalajara left me wanting more. On the eating agenda for a furure trip: correcting the wrongs of not diving into the city's best tortas and birreria, along with dessert mecca La Postrería GDL and buzzy Trasfonda restaurant. The rooftop pool at Hotel Demetria. Photo courtesy of Hotel Demetria. A moody, minimalist design hotel attached to the landmark Art Deco Casa Quiñones, the Demetria incorporates contemporary steel and glass architecture with a restaurant, bookshop, and rooftop pool, plus contemporary art installations. The Demetria also operates apartments in a Barragán-designed building around the corner. 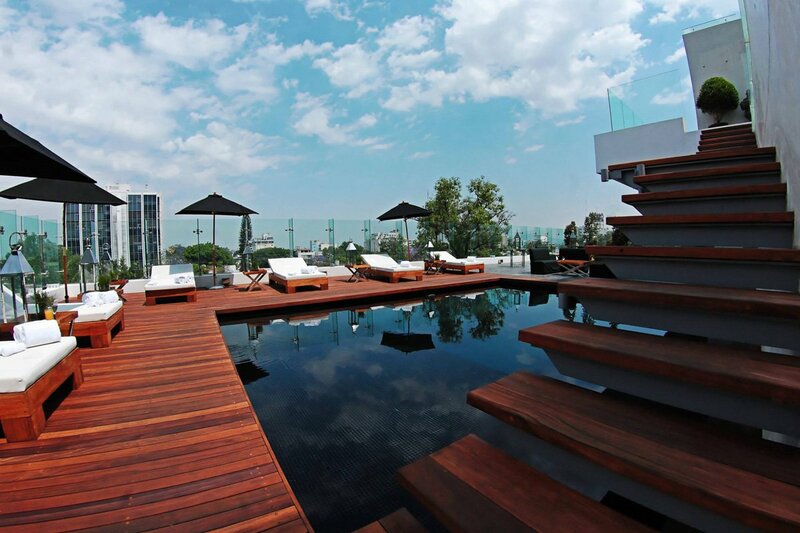 Guadalajara's see-and-be-seen hotel locale, with sumptuous surroundings and a series of beautiful outdoor seating areas. Quiet hospitality with ten rooms in a traditional colonial-style mansion, with a lush central courtyard.